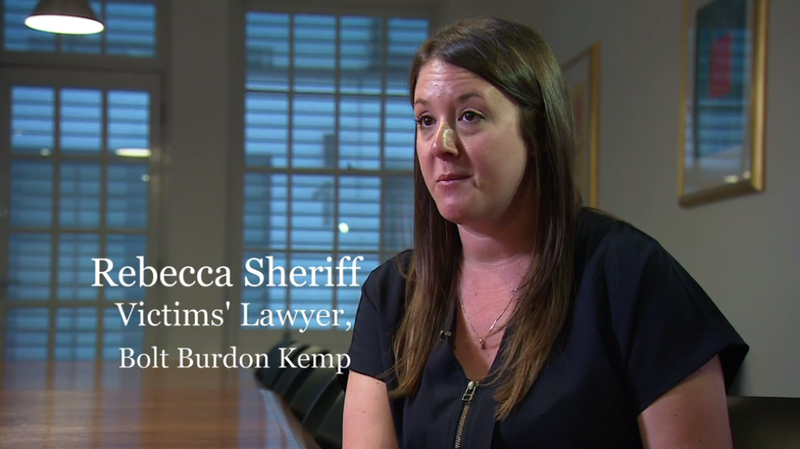 Rebecca Sheriff, Associate in the Abuse department, appeared on BBC2’s Victoria Derbyshire programme on 12 April talking about one of her child abuse client’s cases, where she secured over £0.5million damages – thought to be one of the highest sums of damages agreed out of court in a child abuse case. The case raises the question of mandatory reporting once again, given that the abuser had already stood trial for child abuse offences and been found not guilty, after which a social worker contacted the local authority to warn of concerns based on evidence which was not heard by the criminal court. Despite raising concerns, the local authority failed to disclose these to the school which went on to subsequently employ the abuser, where he struck again in the 1990s, with our client having to suffer the dire consequences.